NO. 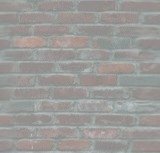 You have not reached this brick wall in error. This wall is here to let you know that this site is for stories that are 17+ only. Because of the content of these stories...there are no children allowed at all! So if you're under the age of 17 you know what to do. Hit that back button on your browser or hit the no button at the bottom of this page. It will take you to a place that's much better suited for young adults and children. So, if you are too young and enter this site then the blame lies on yourself. Are you allowed to enter? "The X-Files" TM and © Fox and its related entities. All rights reserved. Any reproduction, duplication or distribution of these materials in any form is expressly prohibited. This web site, its operators and any content on this site relating to "The X-Files" are not authorized by Fox.